Once again, the English football top tier lived up to its reputation of being one of Europe’s most exhilarating and exciting competitions. The first part of the 2016/2017 season saw reigning champions Leicester City endure a tough start to their title defence, which was not difficult to predict given the fact that Claudio Ranieri lost his key man N’Golo Kante during the summer transfer window. 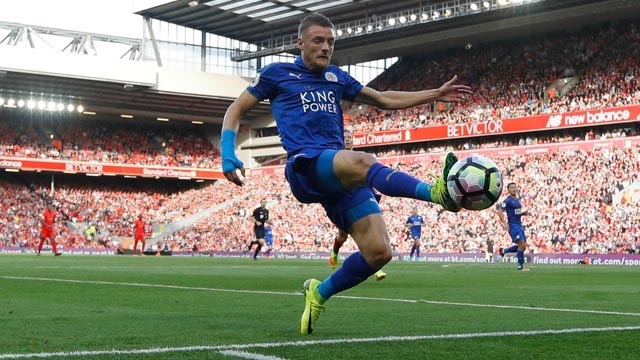 And with Jamie Vardy and Riyad Mahrez unable to replicate their formidable form from last term, the Foxes struggled largely on the domestic front, with other clubs taking full advantage of their slump. With Leicester City now definitely out of the equation, the Premier League big guns got back to business. As predicted, Antonio Conte and his Blues have already staked their claim on the title with a string of impressive performances towards the end of 2016. The Italian have dis-played great tactical versatility when he decided to switch to 3-4-3 system and surprise Chelsea fans and rivals alike. Having given the out-of-favour players such as Pedro and Victor Moses a chance to shine, Antonio Conte has been able to yield fantastic results with his team and we predict Blues will be able to go the full distance, despite the great pressure from rival-ling teams. Arsenal and Manchester City are expected to challenge Chelsea until the end, while the unpredictable, but highly attractive Liverpool will be looking for an outside chance to get involved in the chase. The battle for survival will be as fierce as the one for the title itself, so predicting the teams to go down will not be an easy task. Sunderland looked like a sure candidate early on in the season, but the Black Cats managed to catch a break in December which might be enough to give them impetus to perform another great escape and survive the cut in the end. Despite spending £32 million in the summer, Swansea City failed to replace their star men Andre Ayew and Ashley Williams, which could end up costing them dearly in the end. Their dire defending saw them lose plenty of points and it would be a miracle to see the Swans avoid the drop should they continue their dramatic stutter. Last season’s high-fliers West Ham look like the outside relegation contenders as Slaven Bilic continuously fails to restore the last-season’s form, team spirit and atmosphere. The Hammers’ cause was made difficult with a number of injuries to their first-team members during the first-part of the season, but not a single football fan can rule out the element of surprise anymore. Hull City are another strong relegation contender this year as well. Looking back to the first part of the season, one could not avoid mentioning Liverpool as arguably the biggest surprise in the Premier League 2016/2017 campaign. Jurgen Klopp’s men have been defying Premier League predictions for quite some time and even though it appears they might be losing their pace the Reds are eager to continue with strong displays. The German boss took some time to settle at Anfield, but Liverpool are finally bearing fruit of his hard labour. Jurgen Klopp is the kind of an alchemist manager, as he is able to create something out of seemingly nothing. Putting his relatively young and obscure squad in the perspective of highly-priced football stars and the likes of Paul Pogba, Diego Costa or Sergio Aguero other title rivals are boasting, one cannot but be amazed by the results. With Brazilian playmaker Philippe Coutinho putting in world-class displays and their high-tempo counter-press showings, Liverpool have been one of the biggest surprises in the league. The Reds have broken a string of records with their goal-scoring exploits as well, setting the bar rather high for others to achieve. The Reds are enjoying their football and even though Jurgen Klopp himself refuses to dwell into the title talks, Liverpool fans’ eyes glimmer with insatiable hope. There are several names to choose from and it can almost get too hard to pick just one. 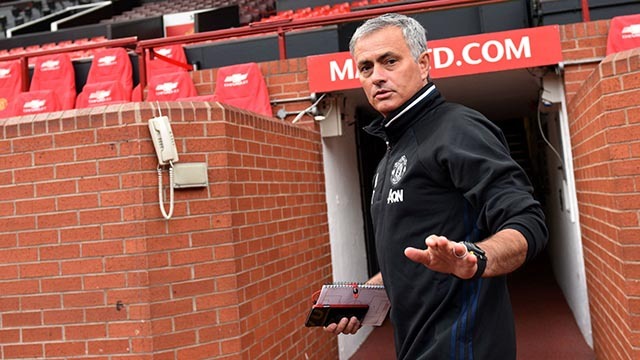 With the first part of the season in the rear-view mirror already, star-studded Manchester United should be the ones to be slapped with the disappointment tag. One might call them unfortu-nate to some extent, but Red Devils failed to be consistent in their displays for the most part of the season and it saw them lose pace behind the high-flying Chelsea. World-record signing Paul Pogba was largely underachieving for Jose Mourinho’s team whereas Swedish talisman Zlatan Ibrahimovic only got his scoring touch back in December when Mourinho decided to shuffle his deck and shift the system to 4-3-3. With Wayne Rooney still not up to his very best and star signing Henrikh Mkhitaryan yet to his full form, we predict Man Utd will finish outside the top 4.
much to the liking of Blues fans. Diego Costa appears more mature, with a significant improvement in his temperament yielding 11 goals until the beginning of December and five assist to his name. Chelsea striker could end the season on a high if he continues with the same level of performances which would definitely end up be-ing one of the biggest talking points in the 2016/2017 season. Out of the six new managers who started the new Premier League season, one of them managed to truly stand out from the crowd. Chelsea boss Antonio Conte outshone his rivalling numbers Jose Mourinho and Pep Guardiola with his brave and outspoken approach towards his new job. Having started off with a bang, he was forced to make changes to approach and display his great tactical versatility leading the Blues forward in the first period of the season. One unlikely name deserves a special mention as well. Bournemouth manager Eddie Howe, dubbed the innovator in English football, is the man who looks to put a certain twist to the game as he grabs his job by the horns with great ferocity. Touted as a possible future England manager, Howe is making huge strides with his Bournemouth side and we predict he will go on to achieve great things.